Creative ideas spring from people’s unique experiences and perspectives. If everyone at the table has had similar life experiences, there will be less raw material to drive original thinking. Having a wide variety of viewpoints gives rise to fresher ideas informed by your team’s many different backgrounds, which in turn helps your offering stand out and rise to the top of the market. No matter your race, gender, ethnicity, or sexual identity, it is incumbent upon everyone to listen and learn how to avoid making insensitive statements – even inadvertently. But it’s very hard to get to that point if there isn’t a wide variety of diverse voices to listen to in the first place. This is particularly important for anyone in the marketing, communications, or public relations fields. Taglines, ads, and public statements that don’t take into account a range of experiences, perspectives, and backgrounds run the risk of accidentally alienating or seriously offending your customers, negatively impacting their buying decisions into the future. A 2011 study by Ryerson University professor Kristyn Scott found that companies’ diversity correlates with the happiness and productivity of its employees. When companies demonstrate a genuine commitment to including and celebrating diverse voices, employees feel heard and supported, giving them the confidence and willingness to perform at a high level. Naturally, this benefits retention as well – the more employees feel they are valued, the more likely they are to stay. This, of course, means your HR team can spend less time filling gaps to address turnover and more time supporting current employees and creating a healthy and productive work environment. Stagnation is the enemy of a strong bottom line. One of the major benefits of working in teams is the free exchange of ideas among employees – both directly related to the business and in more tangential ways. A culturally diverse office gives team members more opportunities to expand their horizons and encounter new and challenging viewpoints, fueling their personal growth. As employees acquire new skills, capabilities, and perspectives, their ability to contribute positively to the company’s bottom line is enhanced exponentially. Potential hires increasingly prioritize diversity when evaluating a company. An authentic commitment to a diverse workplace communicates a great deal about a company’s values. Ensuring appropriate representation for various groups goes a long way to attracting top prospects who recognize the importance of diversity – and who will help ensure the company performs at the highest possible level. Another key advantage of a diverse team is the breadth of skills that can be translated into new business opportunities. Employees with knowledge of particular cultures, countries, or languages can prove invaluable to companies hoping to expand into new markets. Even a company without international ambitions can benefit from team members with an assortment of skills; wide-ranging capabilities ensure that your company is prepared to immediately take advantage of every new opportunity. As communities around the country become more and more integrated, it’s vital that companies can communicate effectively with every constituency they serve. A more diverse internal team better reflects the customers they serve, and this makes outreach efforts easier and more impactful, allowing you to build a solid base of loyal customers and clients. After all, people are much more likely to listen when you’re speaking their language – both literally and metaphorically. There are many professional organizations for minority-owned businesses, and companies who give an ownership stake to women or people of color can take advantage of the networking and business development opportunities available to members of these groups. Many large businesses have diversity quotas for outside vendors, and the certification associated with membership in these groups can help you rise to the top in competitive bids. The benefits of diversity will certainly reveal themselves in your business relationships. Championing diversity in the workplace is about more than just hiring candidates from a wide range of backgrounds. It’s also crucial that team members understand the reasons for cultivating a diverse environment. In addition to referencing the benefits above, appealing to the opinions of thought leaders and influencers can help shift company culture. For example, one might draw attention to Canadian Prime Minister Justin Trudeau’s appointment of an evenly gender-balanced cabinet as a way of demonstrating the importance placed on diversity at the highest levels of government. As you begin to increase diversity via strategic hires, creating formal mentorship initiatives will go a long way to ensuring that women and people of color feel genuinely supported and heard. Pairing promising new hires with established leaders amplifies their voices and helps them develop the skills they need to effect positive change within your organization. In the absence of formal mentorship programs, dedicated training and coaching helps all employees perform better and demonstrates a commitment to a workplace culture that fosters individual growth and improvement. 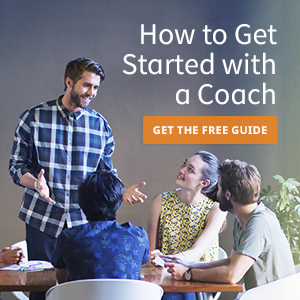 To learn more about how to incorporate personal coaching into your company, check out Ace-up’s deep bench of seasoned coaches, who can help you promote a welcoming, inclusive culture that benefits everyone – and your bottom line.